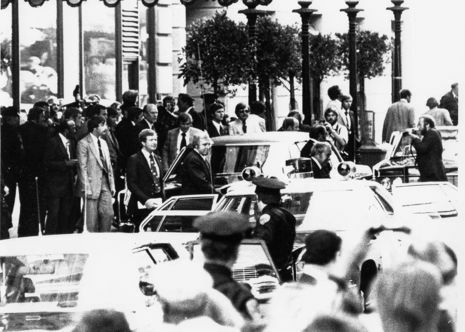 "The President had been waving to thousands of cheering spectators outside the St. Francis Hotel when the shot rang out like a firecracker about 35 feet away. Secret Service agents quickly pushed him into his bulletproof limousine, where he crouched below window level. The motorcade raced off at top speed for the airport with sirens wailing," reported The Yuma Daily Sun on September 23, 1975. 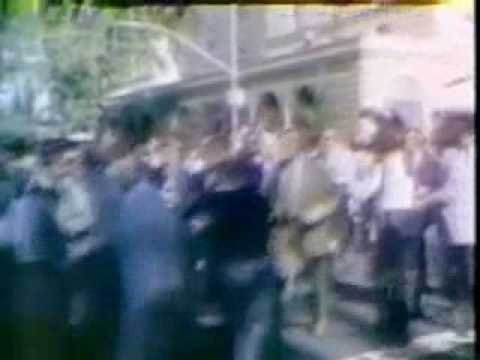 In reaction to this attempt, the Secret Service started to keep Ford at a more secure distance from anonymous crowds, a strategy that may have saved his life seventeen days later: as he left a hotel in downtown San Francisco, Sara Jane Moore, standing in a crowd of onlookers across the street, pointed her pistol at him. Just before she fired, former Marine Oliver Sipple grabbed at the gun and deflected her shot; one person was injured. Moore was later sentenced to life in prison. She was paroled from prison on December 31, 2007, having served 32 years.